Introducing — the GOLD SERIES No 1!! Featuring choreography and performance in different stages of process by WAC/D alums Sarah Leddy, Carol McDowell, Lailye Weidman (coming all the way from MA!) 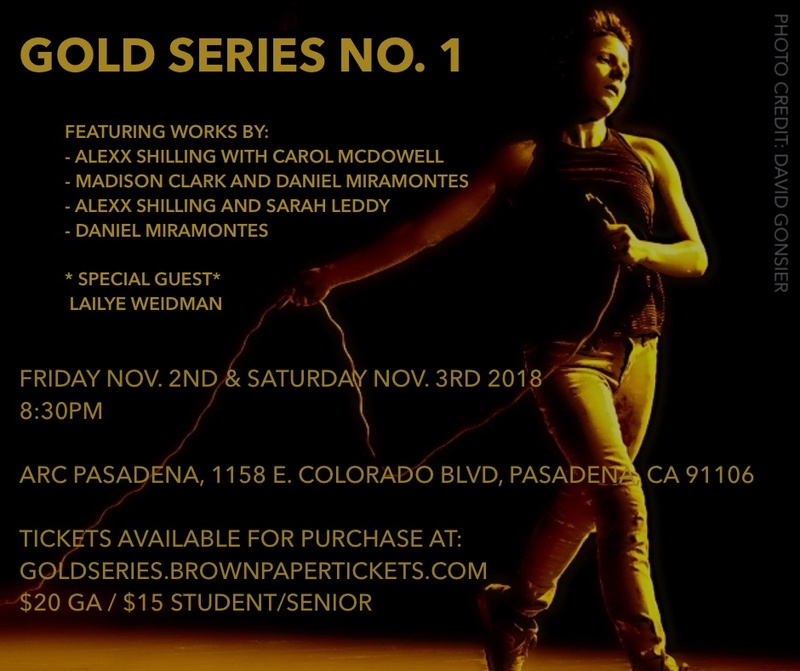 and me (alexx shilling), as well as a lovely crew of artists based in Long Beach (Daniel Miramontes, Madison Clark and dancers Makella Taylor, Kaitlyn Sanchez and CSULB Faculty member Colleen Dunagan). Gold emerges choreographically through the celebration of iconic gestures, adornments that shimmer, commemorations of embodied histories, displays of bold confidence, and the elevation of everyday aspects of moving—making them shine.